In the far north-west corner of China lives a Muslim people with a colorful tradition. 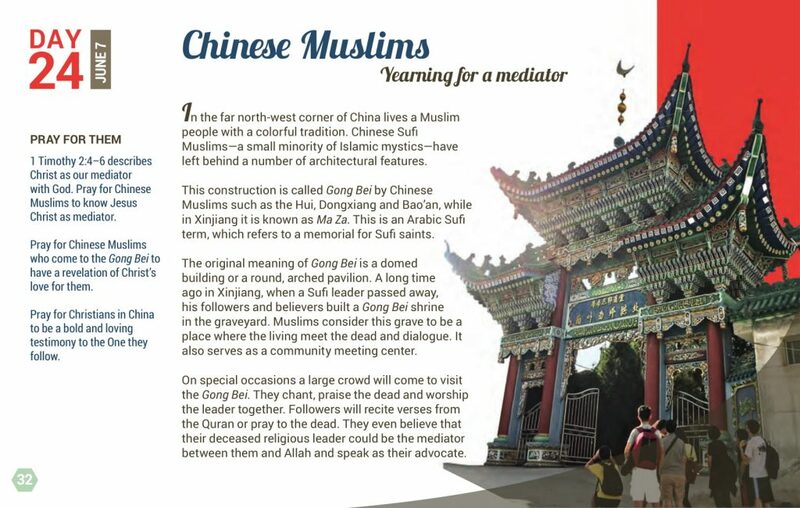 Chinese Sufi Muslims—a small minority of Islamic mystics—have left behind a number of architectural features. This construction is called Gong Bei by Chinese Muslims such as the Hui, Dongxiang and Bao’an, while in Xinjiang it is known as Ma Za. This is an Arabic Sufi term, which refers to a memorial for Sufi saints. The original meaning of Gong Bei is a domed building or a round, arched pavilion. A long time ago in Xinjiang, when a Sufi leader passed away, his followers and believers built a Gong Bei shrine in the graveyard. Muslims consider this grave to be a place where the living meet the dead and dialogue. It also serves as a community meeting center. On special occasions, a large crowd will come to visit the Gong Bei. They chant, praise the dead and worship the leader together. Followers will recite verses from the Quran or pray to the dead. They even believe that their deceased religious leader could be the mediator between them and Allah and speak as their advocate. 1 Timothy 2:4–6 describes Christ as our mediator with God. Pray for Chinese Muslims to know Jesus Christ as mediator. 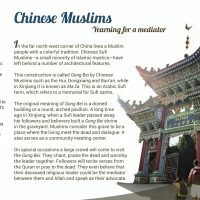 Pray for Chinese Muslims who come to the Gong Bei to have a revelation of Christ’s love for them. Pray for Christians in China to be a bold and loving testimony to the One they follow.